Focusing on the meanings, uses, and impacts of new media in childhood, family life, peer culture, and the relation between home and school, this volume sets out to address many of the questions, fears, and hopes regarding the changing place of media in the lives of today's children and young people. The scholars contributing to this work argue that such questions--intellectual, empirical, and policy-related--can be productively addressed through cross-national research. 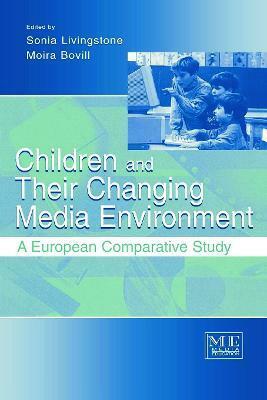 Hence, this volume brings together researchers from 12 countries--Belgium, Denmark, Finland, France, Germany, the United Kingdom, Israel, Italy, the Netherlands, Spain, Sweden, and Switzerland--to present original and comprehensive findings regarding the diffusion and significance of new media and information technologies among children. Inspired by parallels and difference between the arrival of television in the family home during the 1950s and the present day arrival of new media, the research is based on in-depth interviews and a detailed comparative survey of 6- to 16-year-olds across Europe and in Israel. The result is a comprehensive, detailed, and fascinating account of how these technologies are rapidly becoming central to the daily lives of young people. As a resource for researchers and students in media and communication studies, leisure and cultural studies, social psychology, and related areas, this volume provides crucial insights into the role of media in the lives of children. The findings included herein will also be of interest to policymakers in broadcasting, technology, and education throughout the world.